By Dream It Green, LLC. While men take a totally barbaric approach on relationships automating love text messages to their girlfriends with the Bro App, women arm themselves with a counter-action tool designed to warn them when things don’t exactly work out the way they hoped. A litmus paper for your relationship, the Boyfriend Log is a daily calendar designed to track your relationship; namely, the ratio of happy days versus sad days. 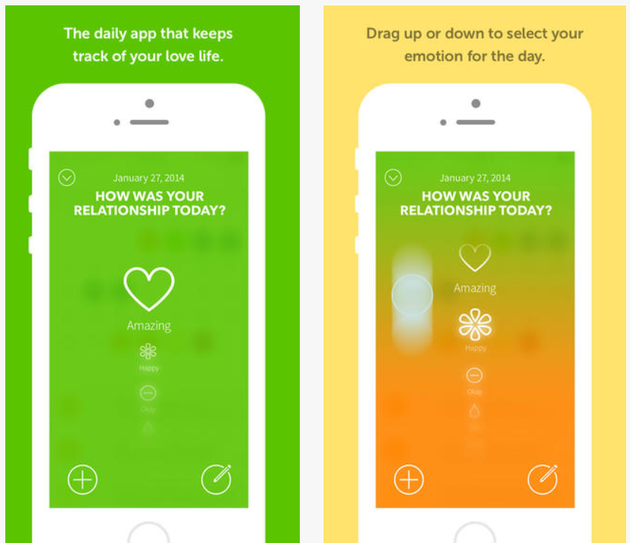 The app allows women track their relationship on a day-to-day basis, tagging each day with emotion-specific colors, so that eventually, you have a large-scale picture of your relationship. It might work as a shocker to some women when they end up with a year-long calendar of a relationship filled with blue (sad) days with rare sparkles of joy when their partner showed love, care or support. 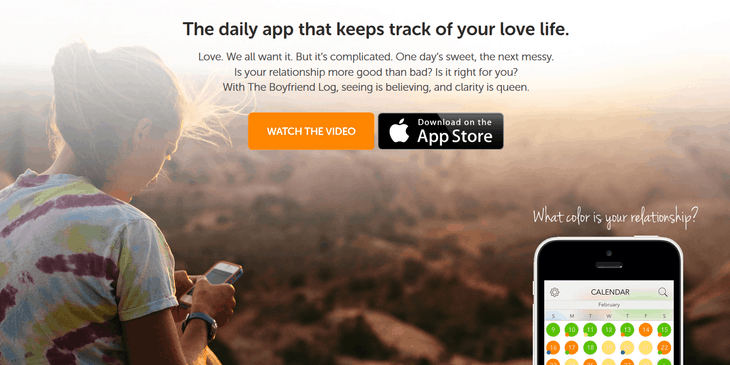 An app like this may help young women single out an indifferent partner, realize the damage caused by the relationship to their self-esteem and overall emotional state, and maybe make that crucial decision to move on faster. The Boyfriend Log features a daily calendar and a diary where ladies can document crucial moments of their love life. The number of log entries is unlimited, so it is possible to view this app as a digital diary. As much as ladies can use this app to track how their partner makes them feel, they can also track their own behavior to see whether their factual actions correspond to their sometimes idealized self-perception. The UI seems quite intuitive, although users report some minor UI quibbles, for example, there is no way to move the entry to a different date if it was primarily added to the wrong date. Also, the app shuts down whenever you switch back and forth to a different app. Male reviewers suggest the app should not be so gender-specific because it truly is a great way to track the factual side of a relationship, so can be used by both men and women. The only gender-specific item being the app’s title and maybe lady-like color-scheme, but the latter is just colorful as opposed to masculine-specific apps and games performed in predominantly dark colors. Apparently, there is a Girlfriend Log app in the works to answer the male users’ requests. Speaking about colors, the app features secondary mood selection to add more nuances to your emotional map of the relationship. The color scheme is fully customizable, so you can choose your own happy and sad colors that correspond to 5 emotional hues – amazing, happy, flat, sad and angry. This color-scheming eventually creates an image with distinguishable patterns, thus enabling the user to see whether they are happy in their relationship. The funny part is the BF Log allows you track multiple relationships, be it multiple romantic connections, or simply one log for a boyfriend, and many logs for your friends. 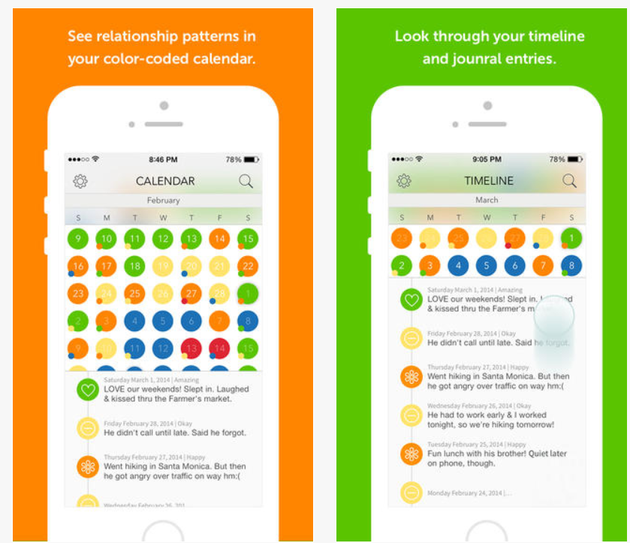 Even though you can’t rely on colorful calendar alone when estimating the core of a relationship, the app represents a factual approach to ephemeral matter – emotions. If you see a predominant number of happy or sad days, you might seriously re-consider the value of your relationship. The app is secure, intuitive and may prove to be a genuinely useful means of retrospection and analysis. It costs $1.99 on iTunes, and there doesn’t seem to be an Android version in the works, alas.